The apology was an important step in our country’s healing process, but there is so much more that needs to be done to bridge the gap between our Aboriginal and non-Aboriginal communities. We need to teach our youth about residential schools. We need to embrace the multitude of cultures that make up our Canadian identity. We need to teach tolerance and understanding. We need to teach about – and model – healing and forgiveness. Living and teaching in Manitoba, where there is a large Aboriginal population, I wanted my students to spend some time thinking about the Aboriginal community, with a focus on apology and reconciliation – on healing. 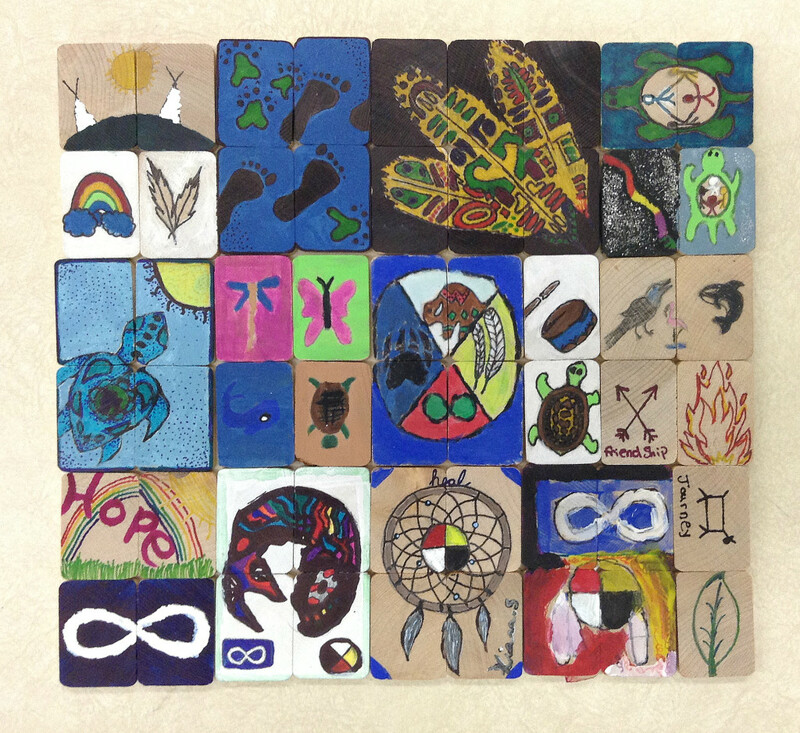 I decided to combine resources and teaching strategies from Facing History with Project of Heart, an inquiry-based, hands-on, and collaborative artistic project that looks at the history of Aboriginal people in Canada. 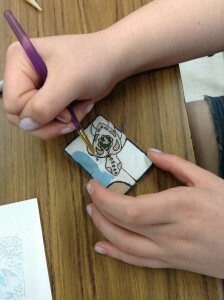 In this project, each student designed a tile (or a set of tiles) that we eventually compiled as a collective memorial project. Prior to designing their tiles, I had my students discuss the concept of healing using Facing History’s scope and sequence journey; we talked about the individual and society, asking questions such as, What makes an individual? What creates identity? and How do individuals fit within the context of society? We did this in small groups of three and then moved the discussion to involve the entire class. Many of my students, including some of my Aboriginal students, were initially uncomfortable with the content. They found it difficult to approach such personal (their words) subject matter. As they got used to voicing their opinions and respectfully listening to others, they opened up more, even bringing forth issues such as financial responsibility, education, and human rights. Once I had them thin king about – and openly discussing – the topic, they began researching symbols and colours that represented their own unique ideas of culture, healing, and forgiveness. 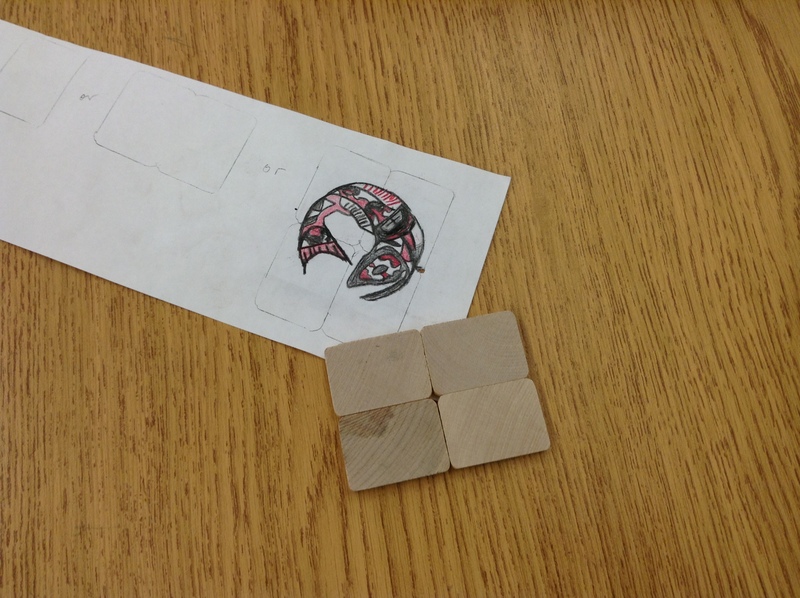 They began designing their tiles; each element had a specific purpose. The process was time-consuming, but well worth it. I wanted this project to be as authentic as possible. The students shared their finished designs and the meaning behind them with the class, which allowed for even more discussion. This exploration of judgment, memory, and legacy was an important step to completing our scope and sequence journey. The end result was so much more than the product itself; the message and the impact was much more than I had hoped it would be. They created a connection with the content and with one another. They created a place of respect, honour, and understanding. How do you engage your students with Aboriginal history? What activities do you do to teach them about residential schools? How do you safely engage students in conversations about difficult histories that are also deeply personal for them?